Gremio took a huge step towards the Copa Libertadores final after a 1-0 win over River Plate in Buenos Aires on Tuesday. A second-half header from Michel saw the Brazilian outfit edge to victory in the first leg of the semi-final at the Estadio Monumental Antonio Vespucio Liberti. 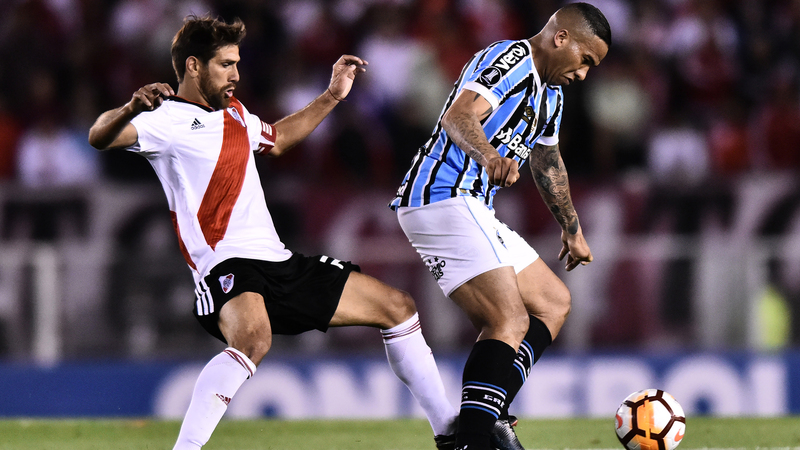 Defending champions Gremio held the hosts at bay for much of the contest, leaving three-time winners River with work to do in the second leg in a week's time. Without Everton Soares (thigh) and Luan (foot), Gremio managed to frustrate the hosts throughout the first half. River were reduced mostly to efforts from distance as Gremio held firm throughout the opening 45 minutes. Renato Gaucho's men took the lead and grabbed a crucial away goal just after the hour-mark, Michel heading in an Alisson corner at the near post. River continued to push but they struggled to create much of note, Gremio seeing out a narrow away win.